Place your orders now before it gets sold out. 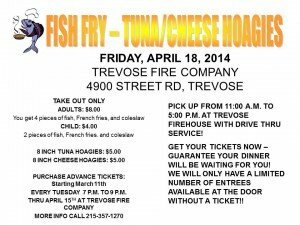 Delicious food for a very reasonable price. Pick three choices adult and kid size portions! 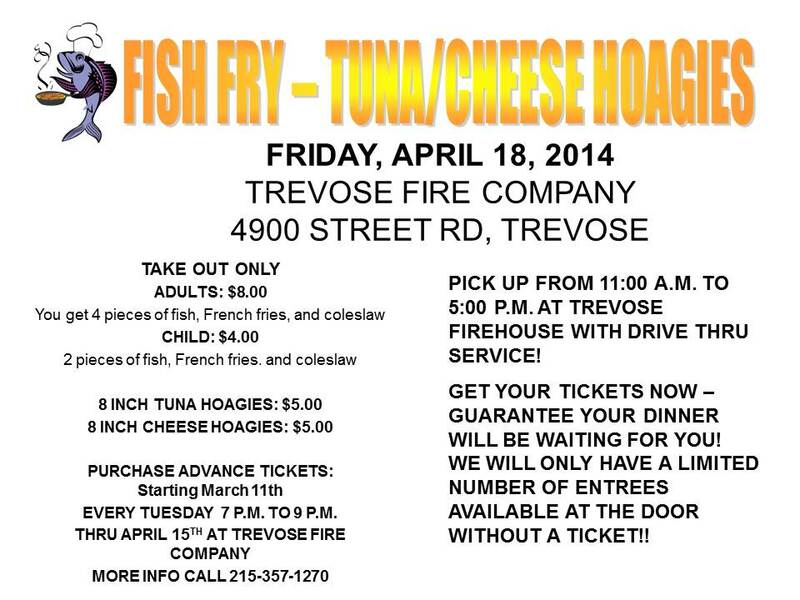 PICK UP FROM 11:00 A.M. TO 5:00 P.M. AT TREVOSE FIREHOUSE WITH DRIVE THRU SERVICE! GET YOUR TICKETS NOW – GUARANTEE YOUR DINNER WILL BE WAITING FOR YOU! WE WILL ONLY HAVE A LIMITED NUMBER OF ENTREES AVAILABLE AT THE DOOR WITHOUT A TICKET! !